Too much fun!! 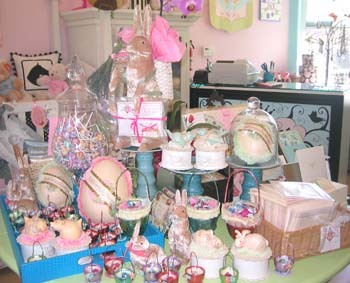 The bunny rabbit hopped in early this year and left all kinds of treats in my showroom! I just love these little boxes for hidden sweets as well as my very well appointed bunny who is overseeing all the festivities! If you're in the Village, stop by and check it out!